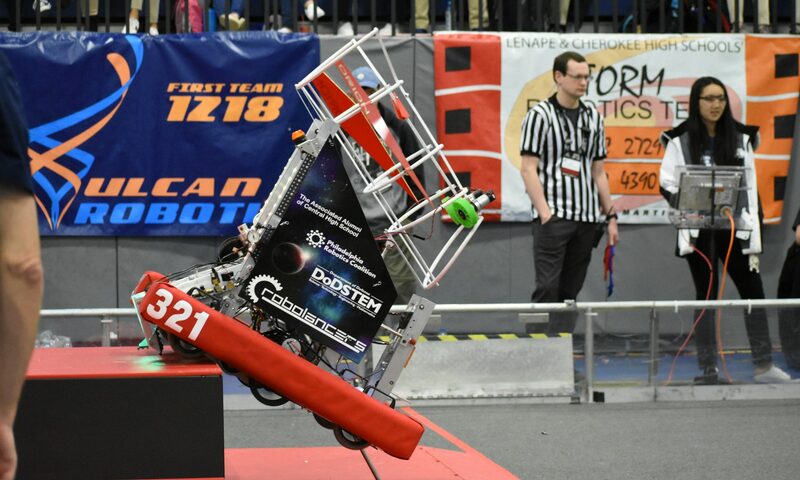 The RoboLancers 321 is Central High School’s First Robotics Competition (FRC) team. Our team is comprised of four subgroups; mechanical, electrical, programming, and business. The technical subgroups and business work together to help navigate the season and make all systems run smoothly. Our FRC team has six weeks to design and build a 120-pound robot to perform tasks against a field of competitors. The games are played between alliances of three robots each on a basketball court-sized field. The alliances change frequently, so an ally in one match could be an opponent in the next.